Storage is so important, making it good to see Western Digital and its related brands continuing to push the medium forward. 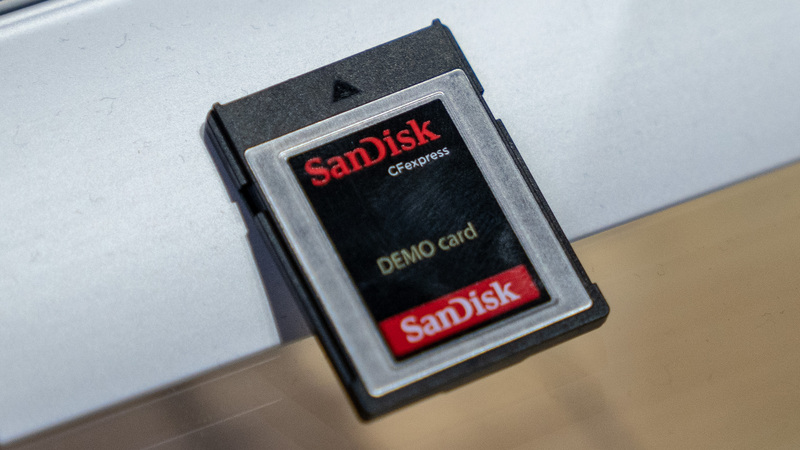 Here at NAB 2019, WD, G-Technology, and SanDisk are showing off a bunch of current and in-development products that will appeal to consumers and professionals. 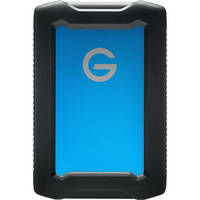 G-Tech is a great place to start, because we were able to go hands on with the latest ArmorATD Rugged Hard Drives. ATD stands for "all-terrain drive" and the term is very fitting. 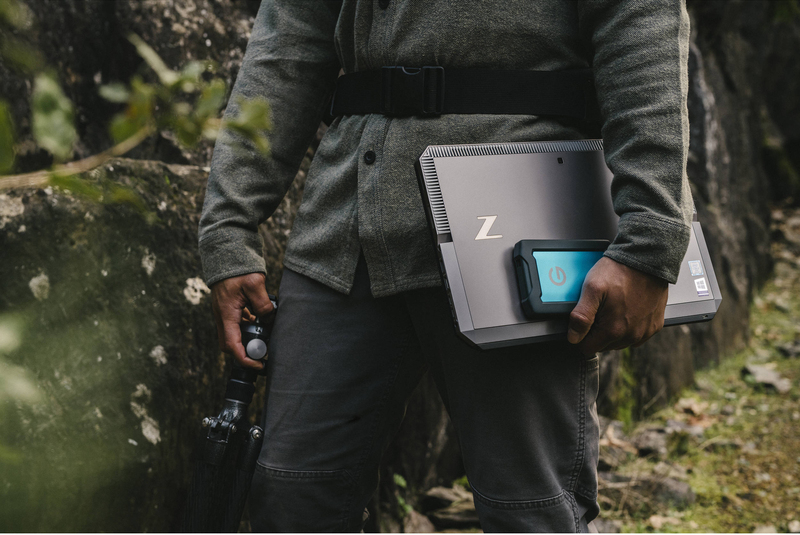 They are compact 1-4TB drives with triple-layer shock resistance, crush-proofing to 1,000 dbf, and an IP54 protection rating. They also have a speedy USB 3.1 Gen 1 Type-C port for connectivity. They feel good in the hand and I'm certain they could take a drop or two with ease. There was an in-development idea shown off for G-Tech, too. This involved a mounting bracket for a Mac mini to be attached to the side of a G-SPEED Shuttle. I love this idea because it makes a solid and easy-to-carry computer setup. Hopefully, we will hear more about this soon and see it come to market in the near future. 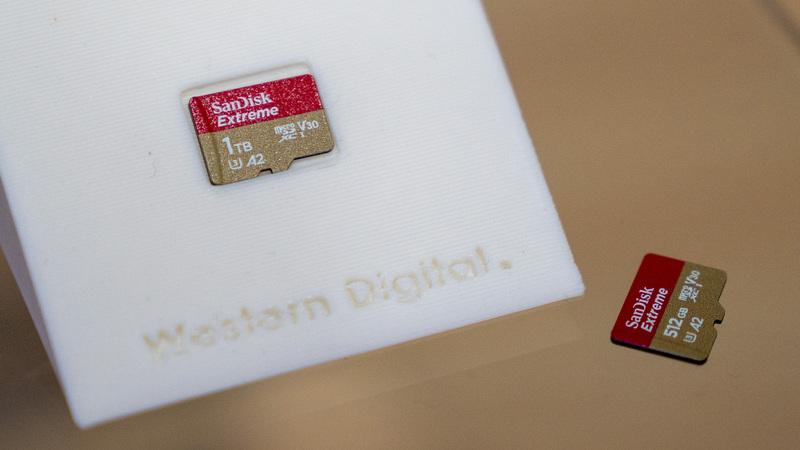 SanDisk showed two memory cards of note. 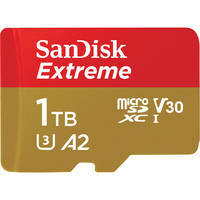 First, we have to talk about its 1TB microSD Card. This thing is just mind blowing. I knew that ultra-large cards were the inevitable future but seeing and holding such a tiny item with 1TB of storage is incredible. The other awesome card was a demo CFexpress card. CFexpress is one of the latest formats and will make 2GB/s transfers possible. Right now, the demo was breaking 1100MB/s with ease. It'll be exciting to see this implemented, and we won't have to wait too long because Nikon and Panasonic are bringing it to their latest mirrorless cameras. Finally, we have Western Digital, the brains behind the whole operation. 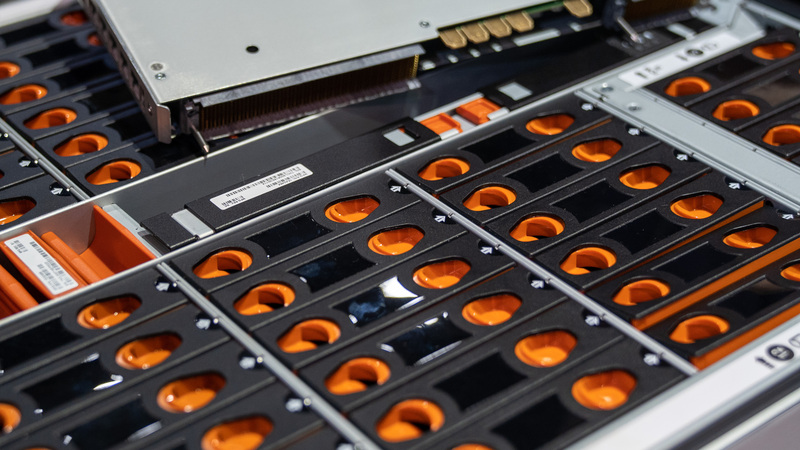 WD was showing off enterprise storage, including a massive 60Bay UltraStar Data60 platform. 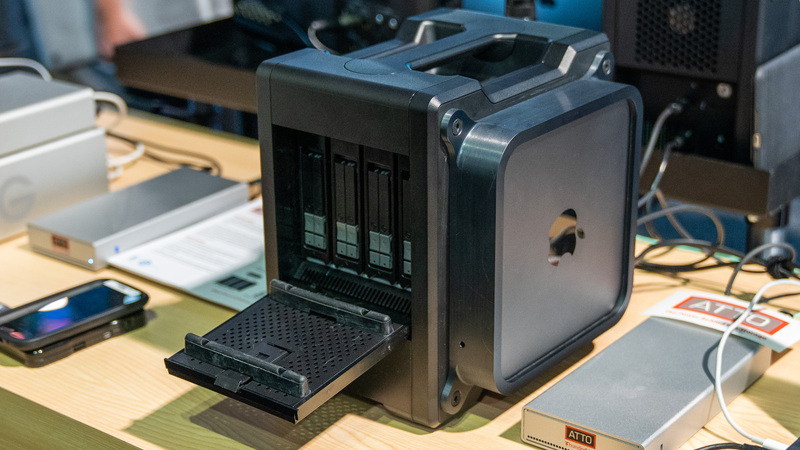 It'll support up to 60 drives for up to 840TB of storage. It also is super customizable and modular, allowing parts to be easily swapped out so that enterprise users can minimize downtime. It's a cool thing to see in person, especially when you can check out all the orange hard-drive slots neatly organized inside. What do you think about WD's latest storage solutions? Let us know in the Comments section, below, and follow B&H Explora for the latest news from NAB 2019.